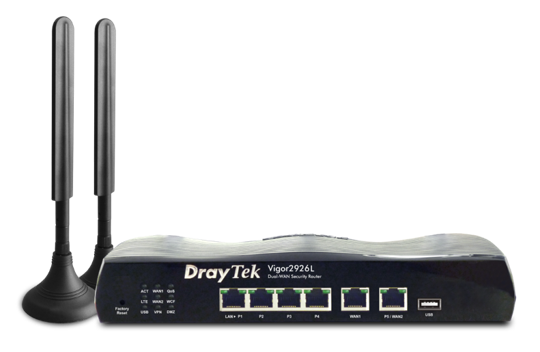 Vigor2926 Series is a Dual WANs broadband security firewall router. 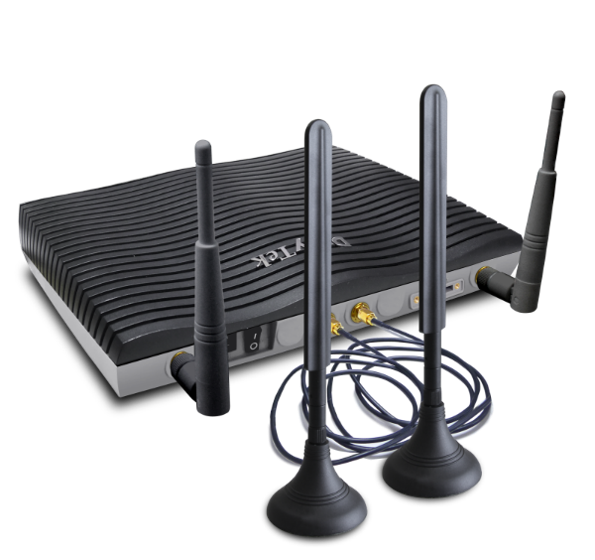 It ensures a steady Internet connectivity with its multi-WAN accesses. There are two Gigabit Ethernet WAN ports and two USB ports to which 3G/4G/LTE USB modems can be attached. Up to 4 WAN connections can be active simultaneously to do load balancing or failover. 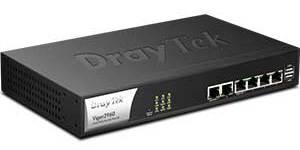 VIgor2926 Series is not only a reliable Internet gateway, but also a versatile firewall gateway and VPN server, it also covers comprehensive LAN management features, such as VLAN, Bandwidth Management, Quality of Service, DNS control, which makes it a perfect solution for a small and medium-sized business network. 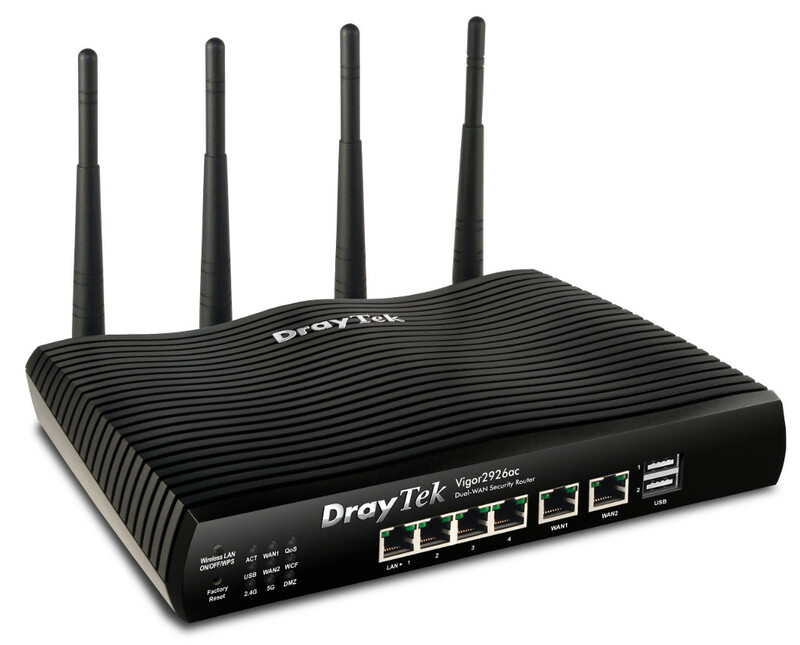 Vigor2926 Series has two Gigabit Ethernet WAN ports that can be used for any types of connection, 3G/4G/LTE USB modem can also be attached to the two USB ports on the router to add a backup wireless connectivity. In fact, all of the WAN interfaces can be configured to operated in either Load Balancing mode, which will be active all the time, or in Failover mode, which will be active only when detecting connection loss or heavy load on the primary connection. On Vigor2926 Series, Load Balancing can be set in either IP-based mode, which means the packets destined to different IP address will be distributed across different WANs; or in Session-based mode, which means the packets belong to different sessions can take different paths, this allows a multiple-session connection to be established across multiple WANs, and the maximum data rate will be all the WAN’s bandwidth combination. Policy-based Load Balancing is also supported so that you may specify the path for some certain packets. To increase network accessibility more, Vigor2926 Series also supports High Availability (Hardware Redundancy) which allows one or more redundant Vigor2926 Series to be added to the network and operated in standby mode. Vigor2926 Series has implemented Stateful Packet Inspection (SPI) Firewall, flexible filtering rules can be set up to accept or deny packets based on source IP, destination IP, protocol, port number, or even the packet’s contents. Content Filtering by URL keyword or application can help you to prevent time and network resource wasting on inappropriate network activities. Vigor2926 Series is also robust VPN server which is perfect for a company based in multiple locations or has teleworkers. 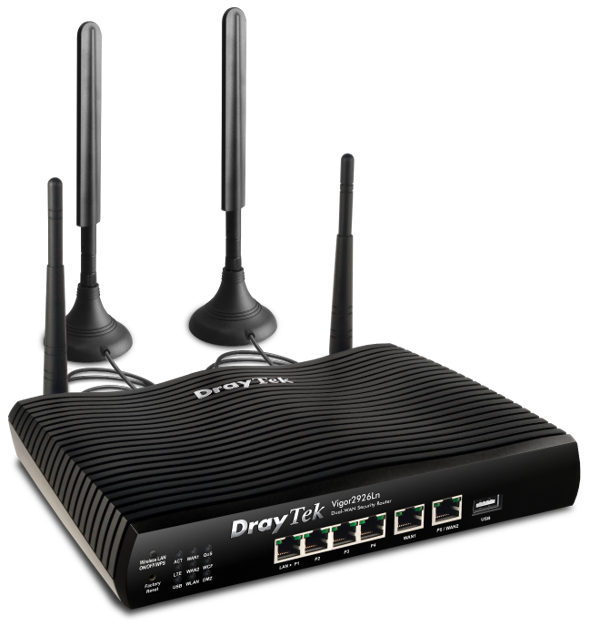 The VPN is compliant with all common industry standard protocols, and its compatible with third-party VPN devices. 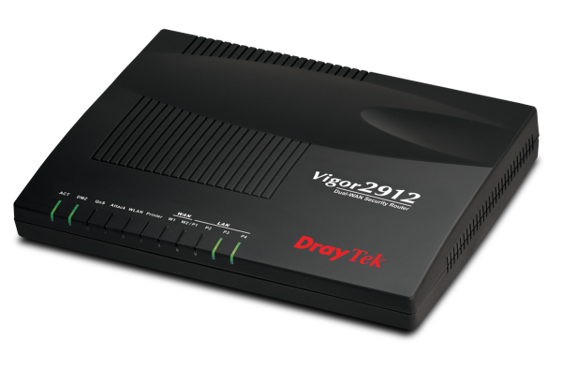 Vigor2926 Series can manage up to 20 VigorAPs on its LAN and works as an AP controller. Automatic Provisioning can be triggered when a VigorAP newly join the network and this makes AP deployment much faster. You may also get the client or traffic history of all the APs from Vigor2926 Series, and set up load balancing rules for the APs. 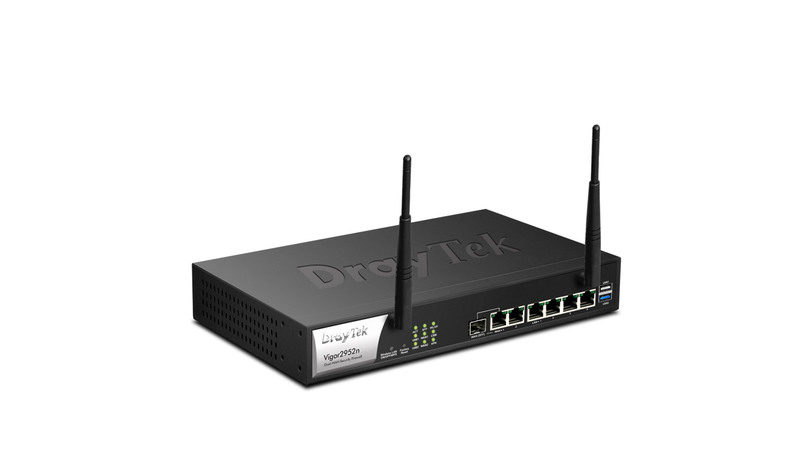 Central Switch Management allows you to manage up to 10 Vigor Switches from Vigor2926 Series, the status of every port can be directly viewed from the router. 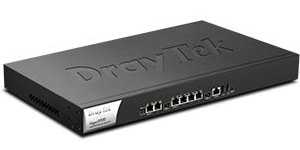 Vigor2926 Series also supports VLAN configuration for the switches, setting that matches the router’s VLAN settings and the switch hierarchy is automatically provided which makes the VLAN configuration much easier.